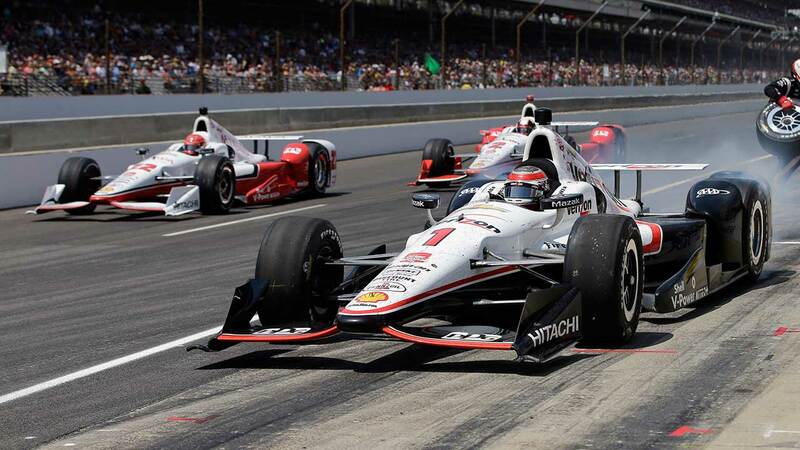 INDIANAPOLIS, IN -- Juan Pablo Montoya held off Penske Racing teammate Will Power over the final two laps Sunday to win his second Indianapolis 500. After watching Power jockey for the lead with Chip Ganassi Racing's Scott Dixon for several laps, Montoya went high into Turn 3 to take over second place, then darted right past Power on the front stretch to take the lead. He pulled away from there to win IndyCar's showcase race. Montoya rallied after a bizarre start to the race. Following an early caution, Simona de Silvestro ran into his rear, causing damage to his wing. Montoya's crew managed to fix it under caution, and the 2000 Indy 500 champion methodically worked his way back to the front. Power finished second, followed by Charlie Kimball. Dixon was fourth and Graham Rahal fifth.